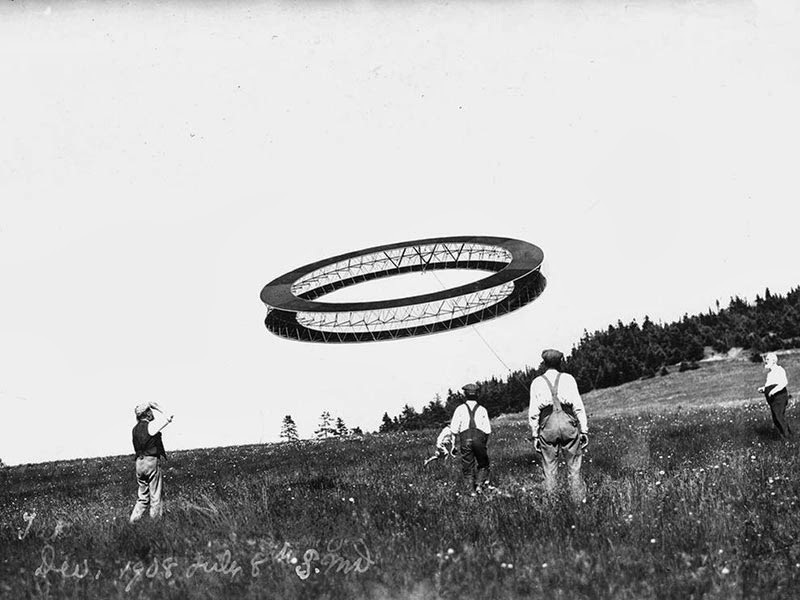 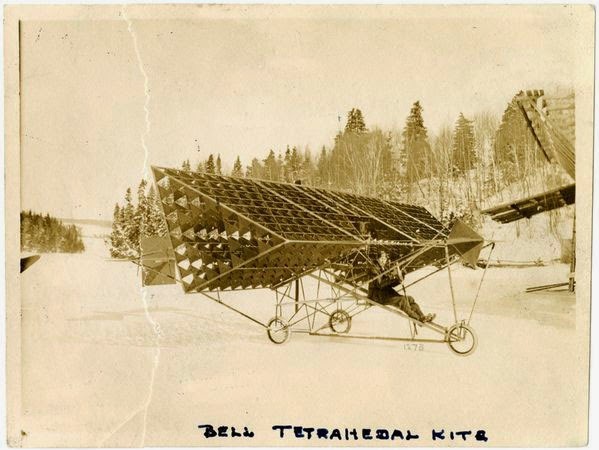 Between 1895 and 1910 famous inventor Alexander Graham Bell worked on the construction of kites, designing, building and testing flying structures by himself. 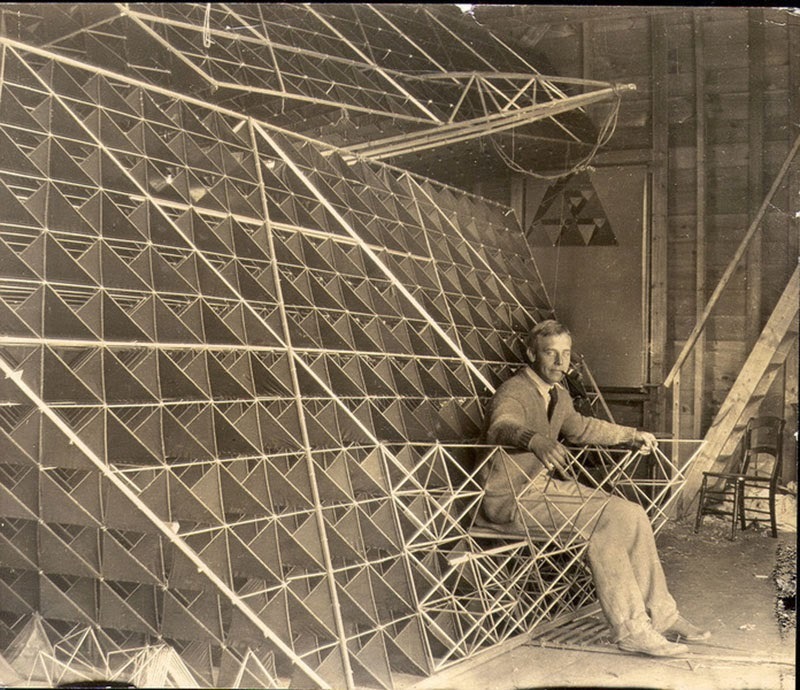 His main aim was to build kites powered by an engine able to let man fly, strong but light enough to not collapse from his own weight. 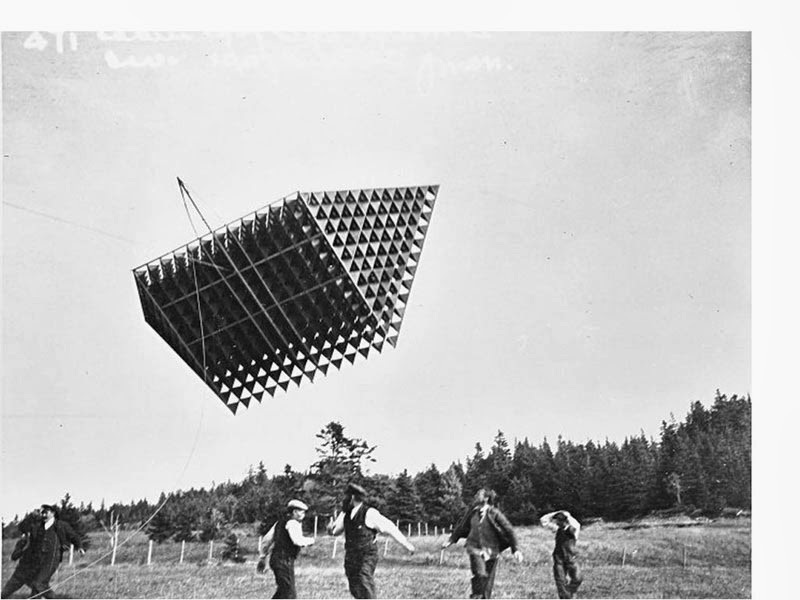 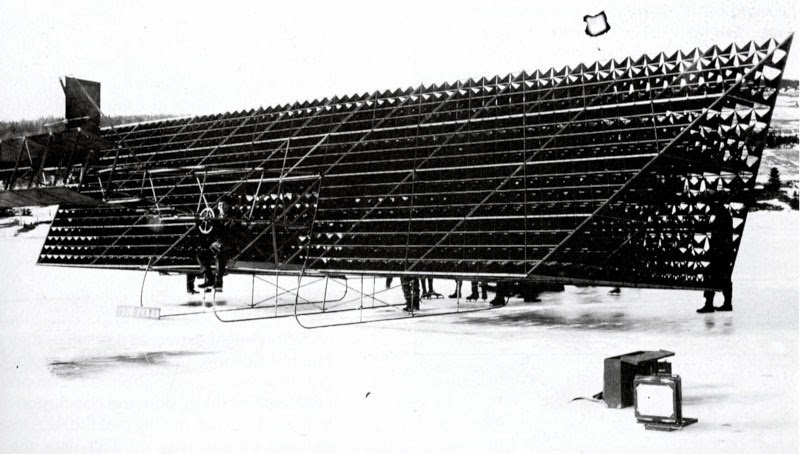 After experimenting with several shapes (boxes, triangles, hexagons), Bell perfected kites made up of several small tetrahedral cells which showed an incredible strength even if built with ultra-light wooden sticks. 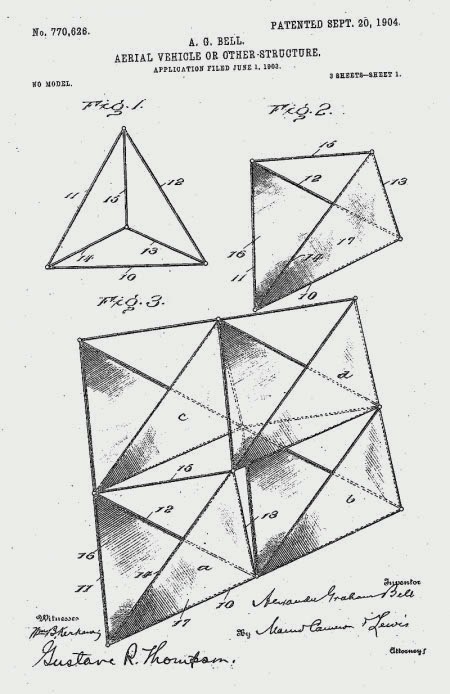 As Bell explained "It is not simply braced in two directions in space like a triangle, but in three directions like a solid".